BEPS Action 6 minimum standard on preventing the granting of treaty benefits in inappropriate circumstances, is one of the four BEPS minimum standards that all Inclusive Framework members have committed to implement.This report reflects the outcome of the first peer review of the implementation of the Action 6 minimum standard on treaty shopping as approved by the Inclusive Framework on BEPS. It includes the aggregate results of the review and data on tax treaties concluded by each of the 116 members of the Inclusive Framework on BEPS on 30 June 2018. Under Action 14, countries have committed to implement a minimum standard to strengthen the effectiveness and efficiency of the mutual agreement procedure (MAP). 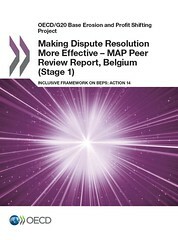 The MAP is included in Article 25 of the OECD Model Tax Convention and commits countries to endeavour to resolve disputes related to the interpretation and application of tax treaties. The Action 14 Minimum Standard has been translated into specific terms of reference and a methodology for the peer review and monitoring process. The minimum standard is complemented by a set of best practices. This progress report is an update to the 2015 BEPS Action 5 report and the 2017 Progress Report. It contains the results of review of all BEPS Inclusive Framework members’ preferential tax regimes that have been identified since the BEPS Project. The results are reported as at January 2019. The 2015 BEPS Action 11 Report estimated the revenue losses associated with BEPS to be 4-10% of the corporate income tax (2014 figures: USD 100-240 billion. 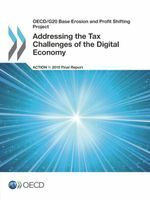 This report and database provides internationally comparable statistics and analysis from around 100 countries worldwide on four main categories of data: corporate tax revenues, statutory corporate income tax (CIT) rates, corporate effective tax rates and tax incentives related to innovation. It is intended to assist in the study of corporate tax policy and expand the quality and range of data available for the analysis of BEPS. 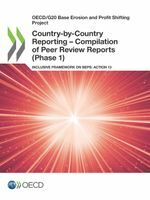 This report reflects the outcome of the second annual peer review of the implementation of the Action 5 minimum standard and covers 92 jurisdictions. It assesses implementation for the 1 January 2017 – 31 December 2017 period. This report by the OECD/G20 Inclusive Framework on BEPS presents the current state of play in progressing its mandate, covering the period from July 2017 to June 2018. 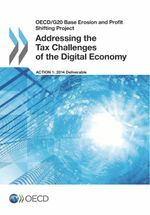 It outlines on the major developments in dealing with the tax challenges of the digitalised economy and the entry into force of the MLI, and shows how countries are progressing in the implementation of the BEPS package. This report contains revised guidance on the profit split method, developed as part of Action 10 of the BEPS Action Plan. 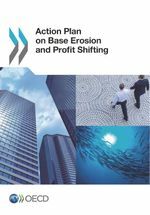 This guidance will be incorporated into the OECD Transfer Pricing Guidelines for Multinational Enterprises and Tax Administrations, replacing the previous text on the transactional profit split method in Chapter II. The new guidance for tax administration on the application of the HTVI approach is aimed at reaching a common understanding and practice among tax administrations on how to apply adjustments resulting from the application of the approach for HTVI. 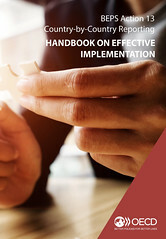 This guidance should improve consistency and reduce the risk of economic double taxation by providing the principles that should underlie the application of the HTVI approach. This first annual peer review report reflects the outcome of the first review which focused on the domestic legal and administrative framework. It contains the review of 95 jurisdictions which provided legislation or information pertaining to the implementation of CbC Reporting. This report contains additional guidance on the attribution of profits to permanent establishments resulting from the changes in the Report on BEPS Action 7 to Article 5 of the OECD Model Tax Convention. 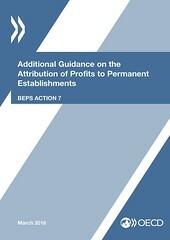 This additional guidance sets out high-level general principles for the attribution of profits to permanent establishments arising under Article 5(5), in accordance with applicable treaty provisions, and includes examples of a commissionnaire structure for the sale of goods, an online advertising sales structure, and a procurement structure. It also includes additional guidance related to permanent establishments created as a result of the changes to Article 5(4), and provides an example on the attribution of profits to permanent establishments arising from the anti-fragmentation rule included in Article 5(4.1). The OECD's Inclusive Framework on BEPS has released guidance and handbooks to assist and give greater certainty to tax administrations and MNE Groups alike in on the implementation and operation of Country-by-Country reporting. 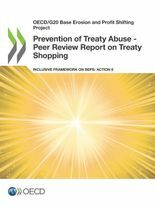 This report reflects the outcome of the first peer review of the implementation of the Action 5 minimum standard. It covers the jurisdictions which participated in the BEPS Project prior to the creation of the Inclusive Framework, and it assesses implementation for the 1 January 2016 – 31 December 2016 period. This progress report is an update to the 2015 BEPS Action 5 report and contains the results of the review of all Inclusive Framework members' preferential tax regimes that have been identified. The results are reported as at October 2017. 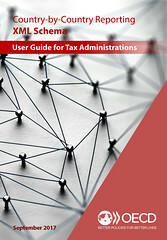 The report also contains guidance on preferential tax regimes, including timelines for amending regimes, how certain features of preferential regimes will be monitored, and guidance on the requirement that jurisdictions offering preferential regimes must require substantial activities to be undertaken in the regime. 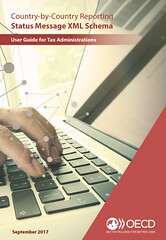 This publication contains the User Guide for the OECD's standardised electronic format for the exchange of Country-by-Country (CbC) Reports between jurisdictions – the CbC XML Schema. The CbC XML Schema is part of the OECD's work to ensure the swift and efficient implementation of the BEPS measures, endorsed by G20 Leaders as part of the final BEPS Package in November 2015. From an IT perspective, jurisdictions will rely on the CbC XML Schema, developed by the OECD as part of BEPS Action 13, for exchanging the information with each other and, in many instances, to receive information from the reporting MNE Groups. 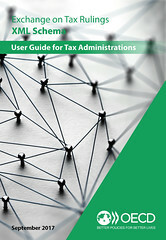 This publication contains the OECD's standardised IT-format for the exchange on tax rulings (ETR) between jurisdictions – the ETR XML Schema – as well as the related User Guide. The ETR XML Schema is part of the OECD's work to ensure the swift and efficient implementation of the BEPS measures, endorsed by G20 Leaders as part of the final BEPS Package in November 2015. As a key outcome of the work on BEPS Action 5, a framework covering all rulings that could give rise to BEPS concerns in the absence of compulsory spontaneous exchange has been agreed. This report by the Inclusive Framework on BEPS presents the current state of play in progressing its mandate, covering the period from July 2016 to June 2017. It sets out the progress that the Inclusive Framework and its members have made since the establishment of the Framework at its inaugural meeting in June 2016, and outlines how countries are progressing in the implementation of the BEPS package and in particular, the minimum standards. Members of the Inclusive Framework on BEPS will develop a monitoring process for the four minimum standards as well as put in place the review mechanisms for other elements of the BEPS Package. The monitoring of the four minimum standards will ensure that all members, as well as jurisdictions of relevance, will comply with the standards in order to ensure a level playing field. Monitoring mechanisms are going to be developed in order to monitor jurisdictions’ compliance with their commitments. These mechanisms will ensure the effectiveness of the filing and dissemination of the Country-by-Country reports, as provided for by the review of the Country-by-Country standard by 2020. In regards to review mechanisms, they may differ depending on the Actions and will take into account countries' specific circumstances. All countries and jurisdictions joining the framework will participate in this review process, which allows members to review their own tax systems and to identify and remove elements raising BEPS risks. The OECD presented the final package of measures for a comprehensive, coherent and co-ordinated reform of the international tax rules to G20 Finance Ministers at their meeting on 8 October, in Lima, Peru. 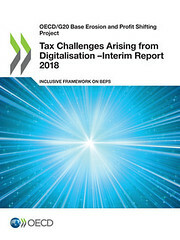 The OECD/G20 Base Erosion and Profit Shifting (BEPS) Project provides governments with solutions for closing the gaps in existing international rules that allow corporate profits to "disappear" or be artificially shifted to low/no tax environments, where little or no economic activity takes place. 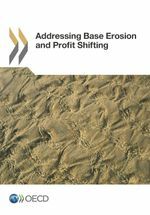 Addressing base erosion and profit shifting is a key priority of governments around the globe. In 2013, OECD and G20 countries, working together on an equal footing, adopted a 15-point Action Plan to address BEPS. 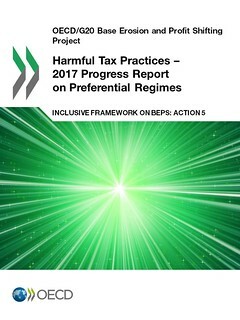 This is the first set of reports and recommendations which address seven of the actions in the BEPS Action Plan. 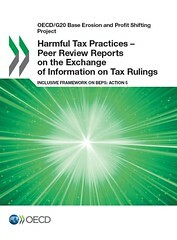 This report presents the studies and data available regarding the existence and magnitude of BEPS and contains an overview of global developments that have an impact on corporate tax matters and identifies the key principles that underlie the taxation of cross-border activities, as well as the BEPS opportunities these principles may create.